Goosebumps 2: Haunted Halloween (film, 2018). A 2018 American horror comedy film with "PG" rating by Columbia Pictures. Directed by Ari Sandel. Official Trailer. Goosebumps 2: Haunted Halloween is a 2018 American horror comedy film directed by Ari Sandel. 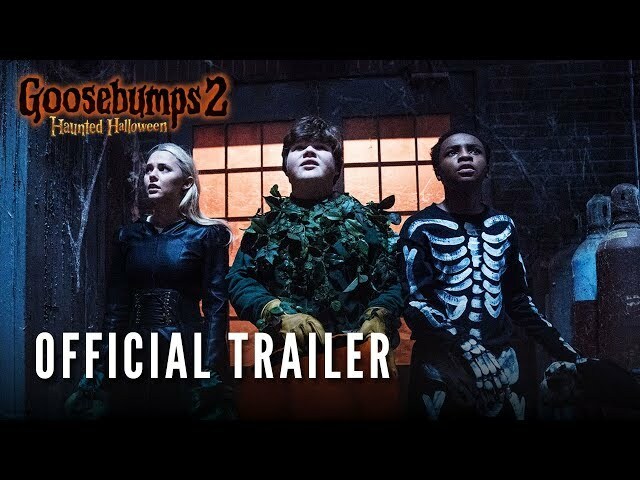 GOOSEBUMPS 2 - Gummy Bear Trailer. Teenager Sarah Quinn (Madison Iseman) lives with her mother Kathy (Wendi McLendon-Covey) and younger brother Sonny (Jeremy Ray Taylor) in Wardenclyffe, New York. Sarah is attempting to get into Columbia University by writing an essay about fear. Kathy agrees to watch Sonny's friend Sam Carter (Caleel Harris) while his father goes out of town. Sonny and Sam are attempting to start a garbage cleanup business, and are called after school to clean up an abandoned house. Inside, they find a locked manuscript and open it, causing Slappy the Dummy to appear. They unknowingly bring him to life by speaking magic words found in his pocket. The manuscript is later stolen by a bully named Tommy Madigan (Payton Wich). At home, Sonny is working on his science project, a miniature version of Nikola Tesla's Wardenclyffe Tower. Slappy then reveals he's alive to Sonny and Sam, and gets their trust by using his magic to do the boy's chores and homework. Meanwhile, Sarah goes to a party to meet her boyfriend Tyler (Bryce Cass), but sees him kissing another girl. Slappy sabotages Sonny's science project and overhears Sarah talking about Tyler. The following day on Halloween, Slappy uses his powers to attack Tyler, and Sonny accidentally damages the school science lab with his sabotaged science project. Later, Sarah arrives home and questions two boys about Slappy. The group realizes that Slappy is at fault and is evil. The kids capture Slappy and try to dispose of him, but he escapes. Later that night, they find an article online about the events that happened in Madison, Delaware and try to contact R. L. Stine (Jack Black) after realizing the book they found was an unpublished Goosebumps manuscript called Haunted Halloween. Stine, now living in a cabin in the woods, hears their message and departs for Wardenclyffe. 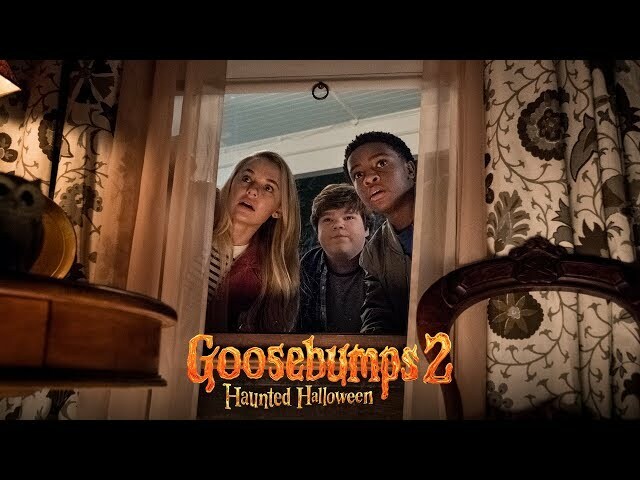 The film Goosebumps 2: Haunted Halloween was scheduled to be released by Columbia Pictures on September 21, 2018, on October 8, 2018 (Culver City), on October 12, 2018 (United States) and on October 25, 2018 (Germany). The duration of the film is 90 minutes. With a budget of $35 million, the film grossed over $93.3 million. 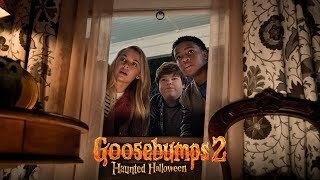 Goosebumps 2: Haunted Halloween got average rating from critics. The audience dislikes the film either. Audiences polled by CinemaScore gave the film an average grade of "B" on a scale ranging from A+ to F.